As Peter peered out across the sea, wiping the rain from his eyes, he thought – just for a moment – that he saw something. It looked… surely it couldn’t be… but it did look like… “Aagh! It’s a ghost!” his friends yelled, and cried out in fear. They were terrified! But even though it looked like a ghost, it wasn’t. It was a man. And not just any man. They knew this man; he was their friend. This was Jesus. 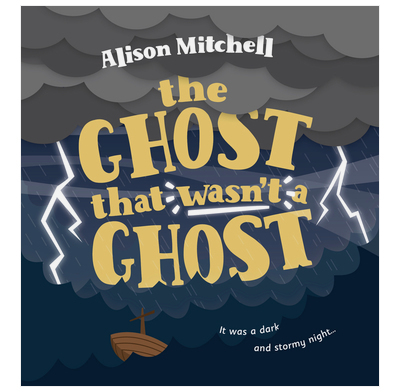 This fun, engaging tract, based on Jesus walking on the water in Matthew 14 v 22-33, is suitable for children aged 6-11 at any time of year, but particularly at Halloween. We bought these for trick or treaters this Halloween. The booklet fits nicely in with a bag of sweets, the design is engaging, and the content is clear. A much better way to bless our neighbours than hiding in the house with the curtains closed!